“California appeals to my imagination. Its jutting mountains, sprawling plains, burning deserts, and crystal coasts all co-exist within a stone’s throw of each other. Each morning brings a new vision of light and a new juxtaposition of color, while each region offers its own vibrant hues and varied shapes. My home state has been an ever-present source of inspiration for me as an artist and lover of nature. 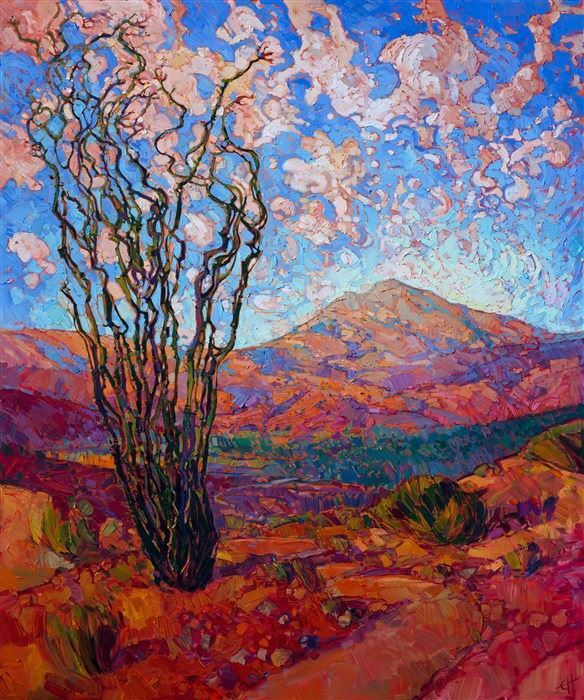 Erin Hanson initially set foot on Paso Robles soil near the beginning of her now exploding art career, some 7 or 8 years ago. 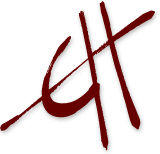 Shortly thereafter the area’s popular non-profit art gallery (Studios on the Park) invited her to exhibit for one month in the fall of 2012. 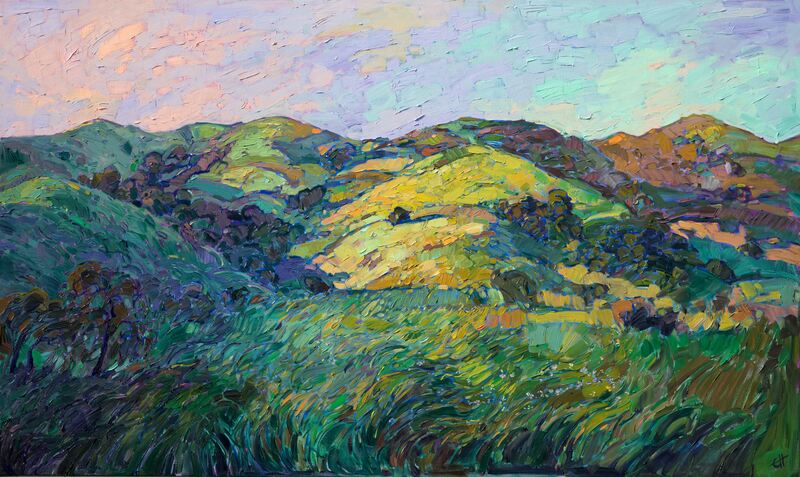 These were exciting times, when a driven and talented young impressionist voraciously painted a collection of two-dozen pieces and packed up her new van to drive exactly 3 hours north of Los Angeles into the heart of Paso Robles for her first solo exhibition. 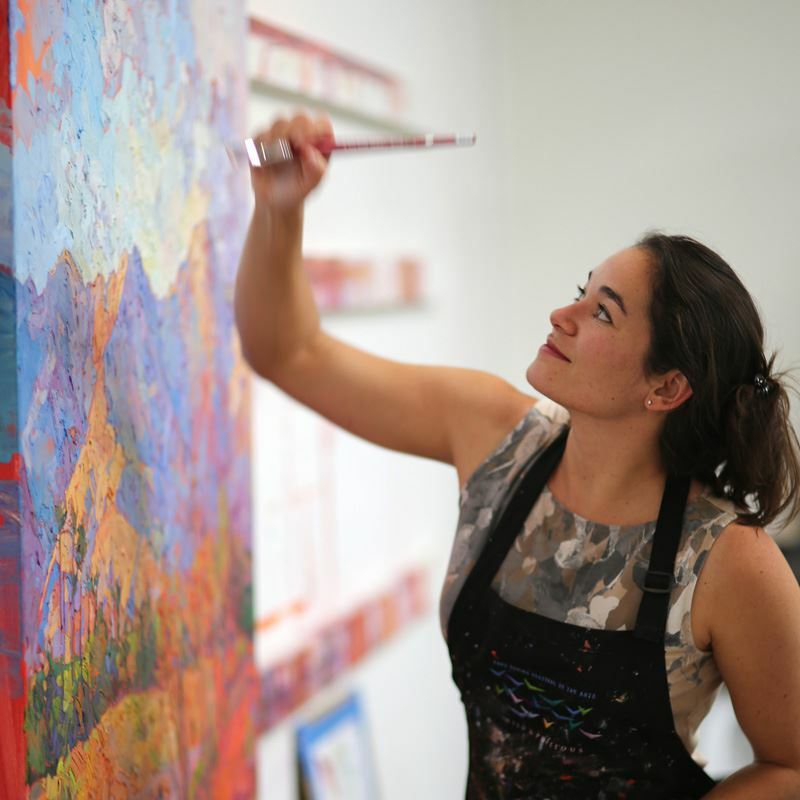 Her first Studios on the Park collection was marked by lined hills and peachy skies. Each subsequent year the annual collection reflected her many adventures and artistic experimentation. The yearly exhibitions provided an opportunity to reflect and see how much Hanson had evolved both in her style and her career. The years rolled on with collectors salivating over stained glass pathways and abundant sherbet skies in 2015. 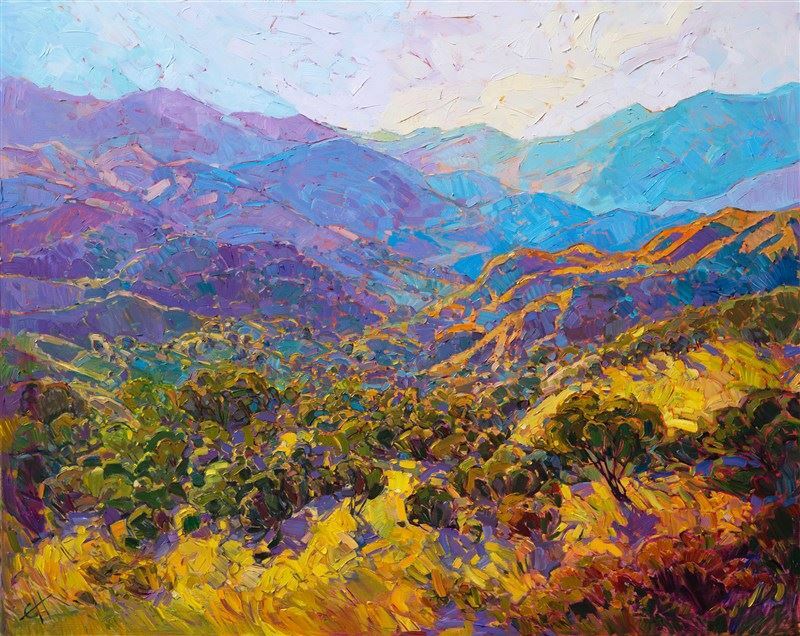 Each of these past 5 years the support of Studios on the Park has become a staple for collectors and fans to experience an impressionistic landscape painter’s rise, Hanson now standing as one of the most desired artists of her generation. 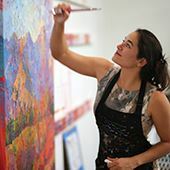 Each year, a portion of exhibition proceeds have then filtered right back into the various community outreach programs and activities available through Studios on the Park, ushering in a groundswell of up-and-coming artists.